One of the highlights of the weekend Okinawa City International Carnival ouside KAB Gate 2 is the giant tug-of-war that takes place 6 p.m. on Saturday in addition to dozens of other events throughout both Saturday and Sunday. 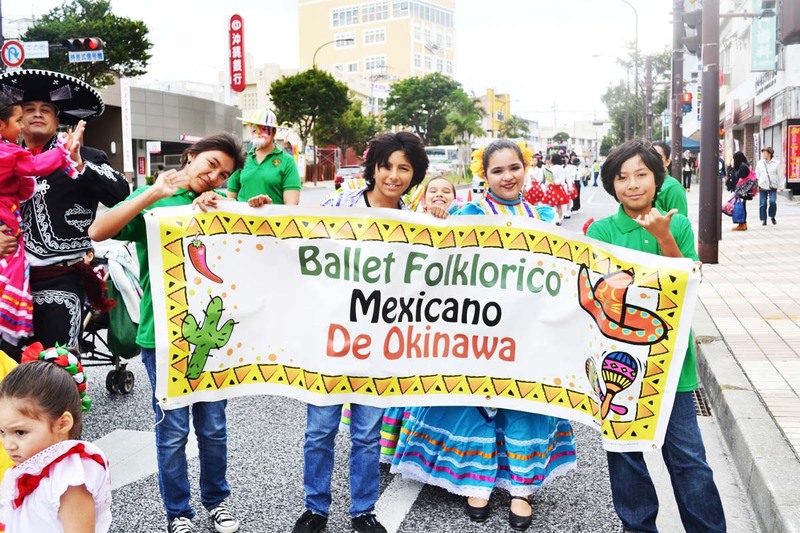 Okinawa City considers itself a cosmopolitan city, home to people from more than 30 countries, and this weekend the city also known as Koza is welcoming them all this weekend for the Okinawa City International Carnival and the Gate 2 Street Festival. Various cultural clubs stage their own shows. The Saturday~Sunday atmosphere is expected to draw many thousands of visitors, and that’s fine with the city fathers. Okinawa City is, at least in their minds, the most suitable place in the world for all internationally flavored, participation-oriented events. That’s what this weekend promises: music, entertainment, sports and sightseeing. 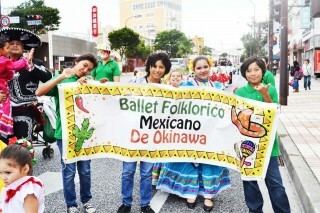 The Okinawa International Carnival spreads itself across Koza Gate Street and Goya Intersection in Okinawa City, as well as Chuo Park Avenue and Koza Music Town, with activities including a tug-of-war, children’s taiko performances, traditional Ryukyu arts, a parade and live performances. 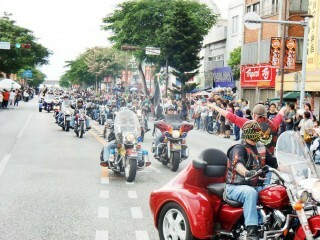 Harleys run in Sunday’s parade. 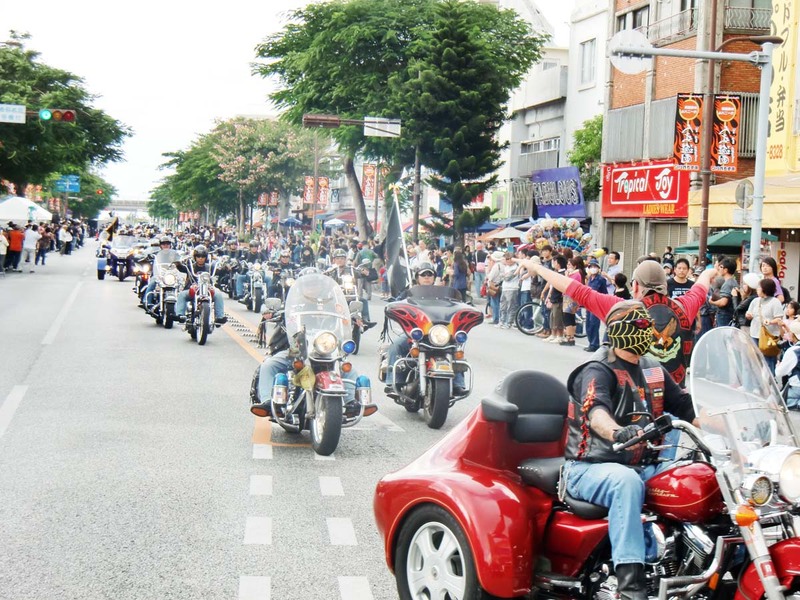 The Gate 2 Festival, with the rumbling—and somewhat loud—accent of more than 300 Harley Davidson motorcycles on the street, runs concurrently this weekend. The motorcycle parade takes place Sunday at 2 p.m., blending the cultures of Okinawa, the United States and bikers of other nations. The local bands, street dance, drum performances and amateur wrestling blur the lines between the Gate 2 Festival and the Okinawa City International Carnival throughout the weekend. As with previous Okinawa City International Carnivals, there will be plenty for sports enthusiasts, including soccer, basketball, Motocross and a tricycle drag race event. Opening Ceremonies are set for Saturday noon, ahead of drama and local dance exhibitions. The big events of Saturday afternoon are the International Great Tug-of-War, a carnival parade and The Samba Queen Contest. 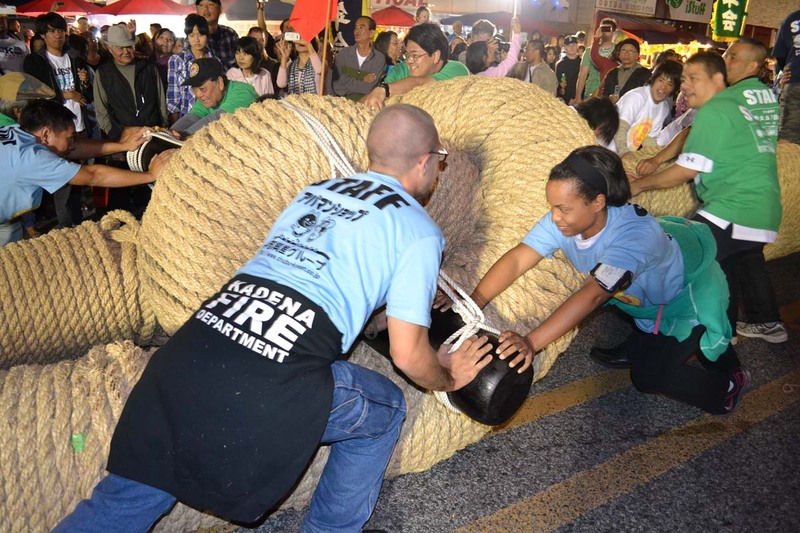 It’s a scaled down rope pull that’s put Naha City in the Guinness Book of World Records, but Okinawa City locals say theirs at 6 p.m. Saturday is just as much fun. Pre-tug of war performances will include music and karate demonstrations. The tug of war is open to all spectators, although young children should be kept clear of the rope. The Promenade Concert at 2:30 p.m. features a variety of school bands, while the Carnival Parade is getting its three-hour walking performance under way. Saturday night REVERSE will be performing live on stage at 8 p.m. Sunday’s Gate 2 Street Festival Opening Ceremonies are at 1 p.m., ahead of the bike parade. Stage performances run non-stop, beginning at 3 p.m. Groups performing throughout the afternoon and evening include Civilian Skunk, Infinity World, Chuck-Wow, Hideaway Band, JET, Prism, Ishado Sakura, Bridal Mode Academy, Lucky Colors, the 3rd Marine Expeditionary Force Band, Ricky & Michelle, Salsa, Tamanchu and Karate & Drums. There will be dozens of food vendors and souvenir stands available to spectators, each offering a specialty unique to Okinawa, America or another country. Games and activities for children will be plentiful as well. Organizers emphasize that streets and roadways will be subject to traffic restrictions during the weekend event. They also encourage people to par a distance away, because parking in the immediate Chuo Park and Gate 2 Street areas is very limited. All of Gate 2 Street, which is Highway 20, will be closed 10 a.m. ~ 9 p.m. both days. Saturday one lane on Route 330, as well as part of Culture Center Street will be closed 2 p.m. ~ 9 p.m. All of Park Avenue / B.C. Street will be closed on Sunday afternoon 2 ~ 2:30 p.m., and two lanes on one side of Route 330 will be close 1:45 p.m. ~ 2:15 p.m. Sunday.